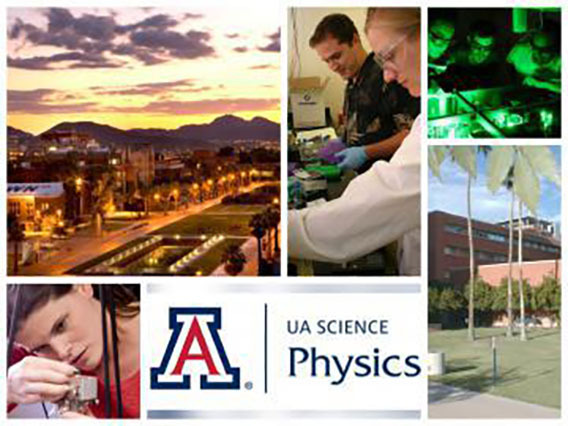 Twenty-seven prospective graduate students visited the UA Physics Department this March 29th and 30th. Over these two days, they met faculty and current physics grad students, found out about research opportunities, and joined us for lab tours, including a tour of the University of Arizona’s world renowned Richard F. Caris Mirror Lab. The evening of March 29, the UA Physics Graduate Program hosted a reception and buffet dinner for the visitors at the ENR2 building rooftop patio. We enjoyed meeting all these terrific students, and hope to see them in the fall!